I put together dinner in ten minute windows these days. Anything beyond that results in full chorus whining. So I’m attempting to make a quick and dirty list of methods that I can prep and finish in ten minutes or less. Skip stuffing and rolling. This method, which I first read about in a great memoir called Bread and Wine, is genius. Layers. 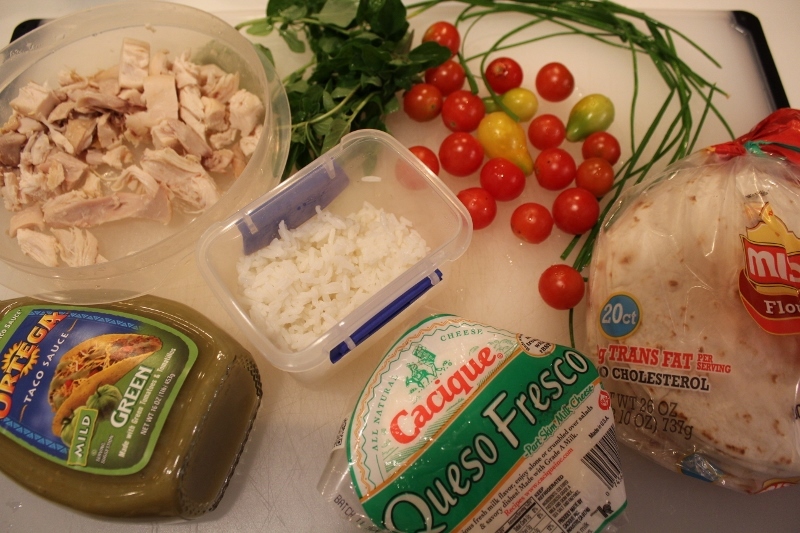 Think lasagna, but in the form of tortillas and chicken and salsa verde. It’s adaptable to what you have on hand, and can be done gluten-free (use corn tortillas) or vegetarian (use beans instead of chicken) if you’re so inclined. A quick word about method recipes.TRUST YOURSELF. You don’t need exact measurements, the perfect tools, or all the listed ingredients. Understand the method, and then take your meal in whatever direction you want. In this case, layers of flavor are laid on top of one another and baked. Fast, simple, and really, really good. Leftover blitz – mix and match! In an 8×8 square pan, spread a layer of salsa verde. 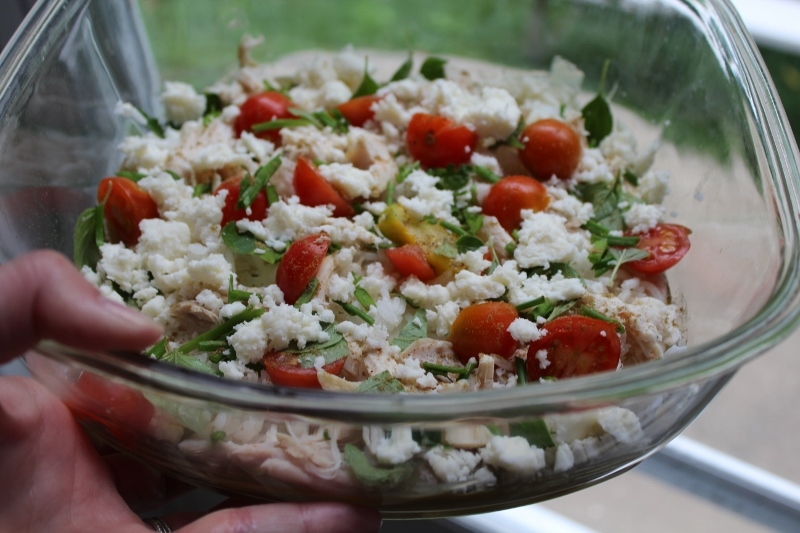 Top it with tortillas, sour cream, more salsa, chicken, rice, tomatoes, cheese, oregano, and chives. Sprinkle with cumin. Put down another layer of tortillas. Repeat. Layers are waaaaay better than rolls. Put down one more layer of tortillas. Top with sour cream and salsa verde.